Jürgen Löschner from Neuhausen (Germany) has collected more than 4300 nut crackers from 28 countries. They are exhibited in his Nut Cracker Museum. 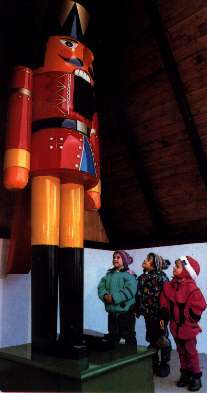 He has also made the world's biggest operating nut cracker. It is 10.1 m [33 ft 1 in in] tall and can crack even coconuts!